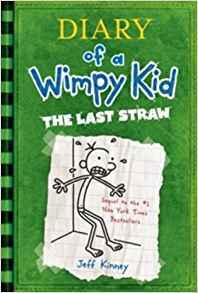 Let’s face it: Greg Heffley will never change his wimpy ways. Somebody just needs to explain that to Greg’s father. You see, Frank Heffley actually thinks he can get his son to toughen up, and he enlists Greg in organized sports and other “manly” endeavors. Of course, Greg is able to easily sidestep his father’s efforts to change him. But when Greg’s dad threatens to send him to military academy, Greg realizes he has to shape up . . . or get shipped out.